Our passion is air cleaning excellence. We lead, others follow. In 1963, IQAir introduced the first home air cleaning system and started an industry that we continue to lead today. Our Swiss-based design and manufacturing team produced the first home air purifiers capable of achieving a "0" reading (no particles coming out of the air outlet) using sophisticated laser particle counters. It may not be possible to control the air everywhere. However, our passion at IQAir is to help you control the air in the most important environment – your home. We deliver air purification products that can make a real difference. While other companies may focus on profits, we are truly passionate about delivering the very best air quality products in the world. 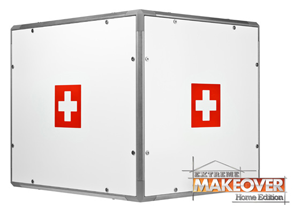 Whole-House Systems – The Perfect 16® fits seamlessly into your existing HVAC system. 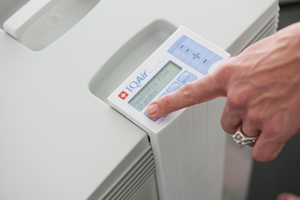 Click Here to view the IQAir Product Brochure.